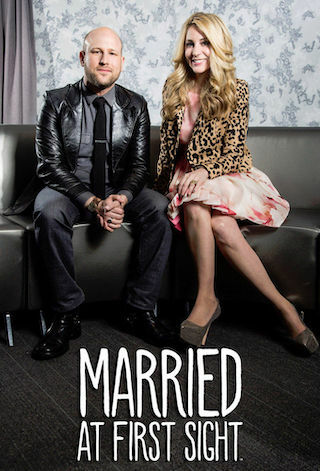 Married at First Sight is an American 60 minute reality romance television series, which kicked off on July 8, 2014, on Lifetime and is broadcast every Tuesday at 21:00. The show is currently in its 8th season. Lifetime is yet to announce the renewal of Married at First Sight for Season 9 as well as its cancelation. Sign up to track down the show's status and its release date. Married at First Sight is an extreme social experiment that follows six brave singles yearning for a life-long partnership as they agree to a provocative proposal: getting legally married to a complete stranger the moment they first meet. Four specialists sexologist, Dr. Logan Levkoff; psychologist, Dr. Joseph Cilona; sociologist, Dr. Pepper Schwartz; and spiritual advisor, Greg Epstein create what they believe are three perfect couples, based on scientific matchmaking. The couples will not meet until they walk down the aisle and see each other face-to-face, for the first time, at the altar. Over the course of several weeks, episodes capture each couple's journey as they go from wedding, to honeymoon, to early nesting, to the daily struggle of working on their marriage. After several weeks together, each couple must make a decision: do they remain together or decide to divorce? Matchmaking Special Airs Tuesday, January 1st, 2019 at 8pm Followed by a 2-hour Premiere at 9pm ET/PT. The hit docuseries returns for season eight to match Philadelphia area singles who have agreed to a provocative proposal: getting legally married to a stranger the moment they first meet, at the altar. A panel of experts - psychologist Dr. Jessica Griffin, sociologist Dr. Pepper Schwartz and marriage counselor, Pastor Calvin Roberson, will create what they believe are compatible couples based on scientific matchmaking and continue to counsel and mentor each set of newlyweds throughout the experiment. The series captures each couple's journey as they go from wedding, to honeymoon, to early nesting, to the daily struggles of working on their marriage. After several weeks together, each couple must make a decision: do they remain together or decide to divorce?